Your gutters or eavestrough might not take up a lot of space but they are definitely heavy hitters in the maintenance world. Perimeter drains are a key part of keeping your roof in good, working order. As important as they might be, gutter maintenance tends to fall by the wayside. When you are having a hard time keeping up with maintenance, don’t let your roof suffer – call a Gorilla instead. 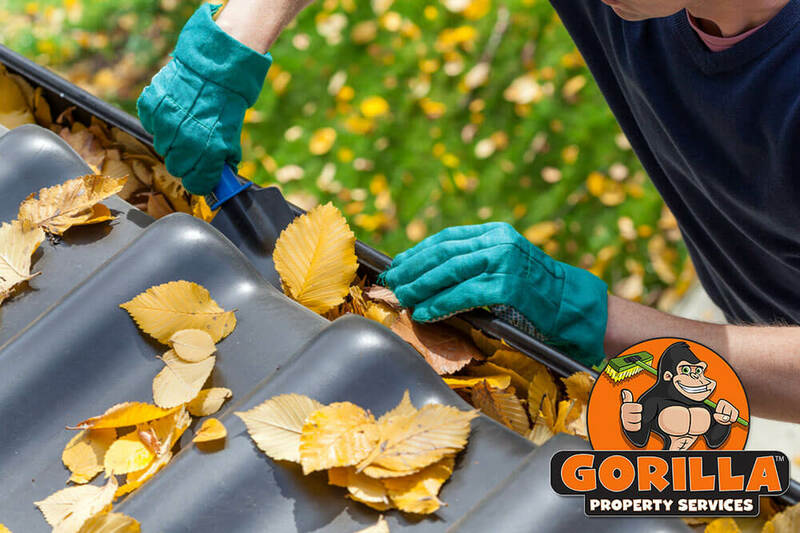 Your Wood Buffalo gutter cleaning can be a challenge of safety and heights or it can be a breeze with a little help from our Gorillas. The main issue that arises inside gutters are common clogs. Blockages might be a common source of annoyance but they are not the only issues that your system is facing. When gutters become full, they retain moisture in a covered environment, which means a comfortable home for pests. A routine Wood Buffalo eavestrough cleaning can mean the difference between large-scale damage or infestation and an easy flowing system. One treatment of our Wood Buffalo eavestrough cleaning gets your gutters running smoothly, leaving nothing behind. 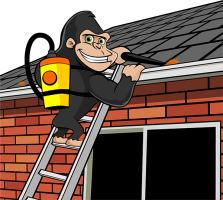 There is no step by step instruction guide for your Wood Buffalo gutter cleaning but our Gorillas have it down. Over the years, our Gorillas have dealt with just about every type of system and clog, so there is nothing that we cannot handle! In fact, we are so proud of our results that we can’t wait to show them off. Each and every Gorilla has a smartphone on hand to take ‘before and after’ photos for our clients. Once your system is vacuumed clean and water tested, our clients get the full view of their clean system, all from the ground!